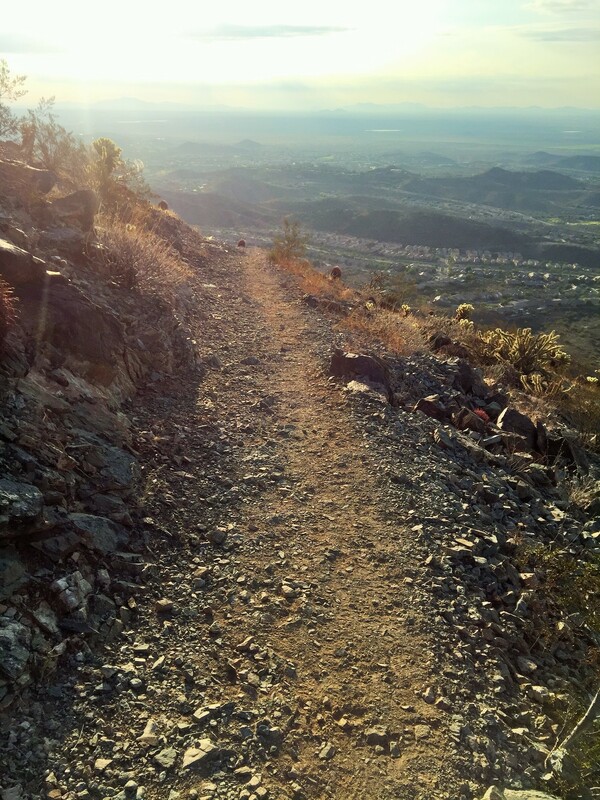 Pyramid Trail is a newer built trail located in the secluded Ahwatukee neighborhoods on South Mountain. It starts off very flat but as you approach closer to the mountains and walk thru a wash its game on! 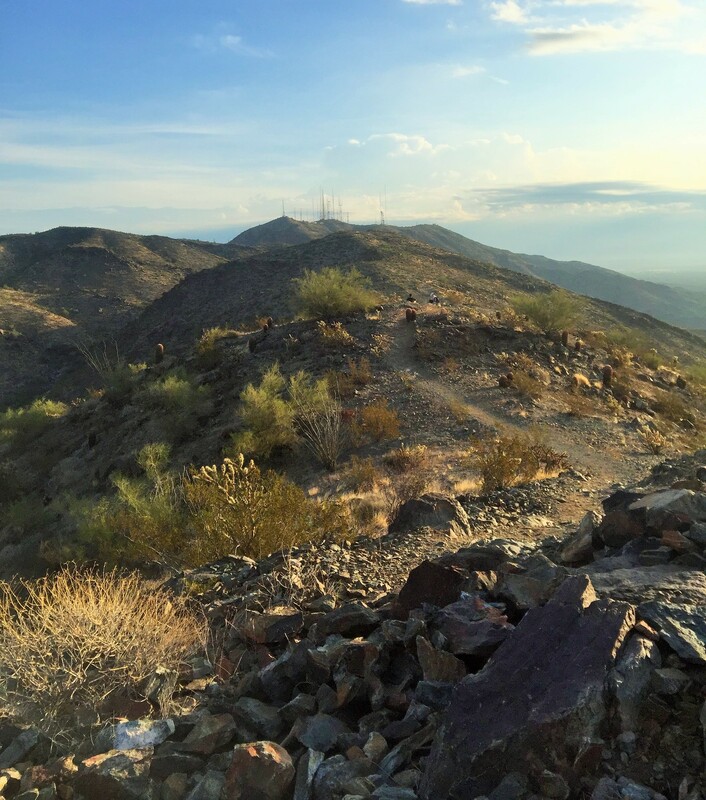 The trail turns into steep switchbacks and doesn’t stop until you’re on the top! 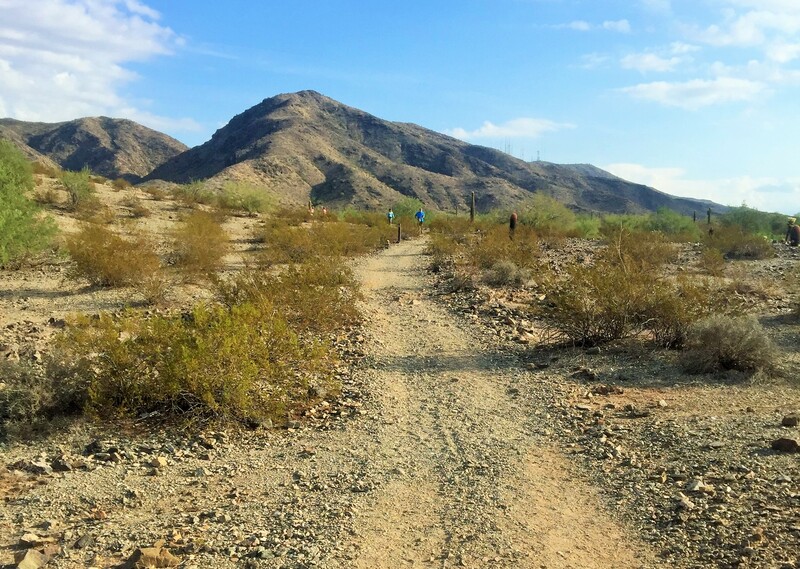 Round trip the trail is 6.4 miles long and you gain an elevation of 1,080 feet. Although it’s considered “moderate” I consider this one of the harder hikes I’ve done but still maintained a peaceful vibe. I would advise starting this trail early in the morning, seeing as how it’s popular within the area. It seemed that most of the other hikers on this trial were regulars and getting their morning workout in. They cheerfully passed us as we were huffing and puffing our way up. The trail head is located at the very end of Chandler on the right hand side there is an entrance and a parking lot. If the parking lot is full you are able to park on the side of Chandler Blvd as well. Take the Exit for Peco’s Road and continue down Peco’s for a while. Left on Chandler and continue driving down until it ends.